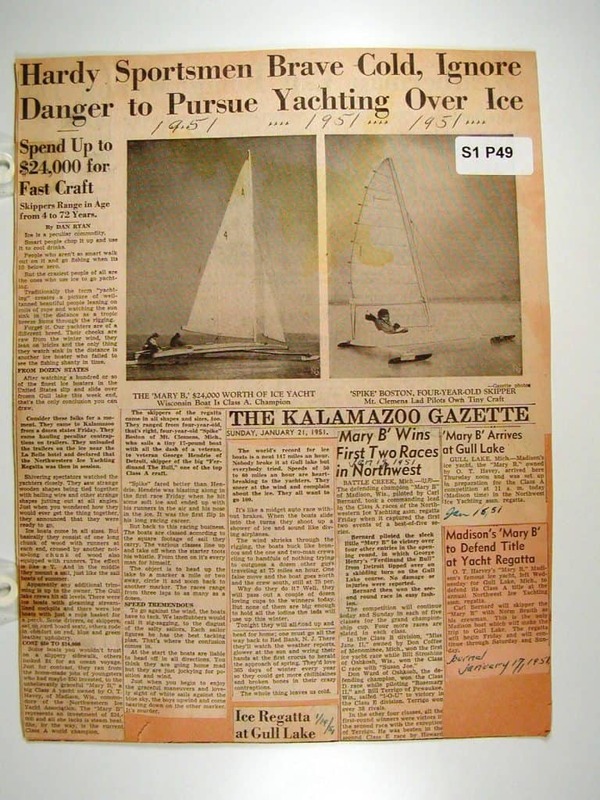 The off season is the best time for this website to catch up on posting iceboating history. 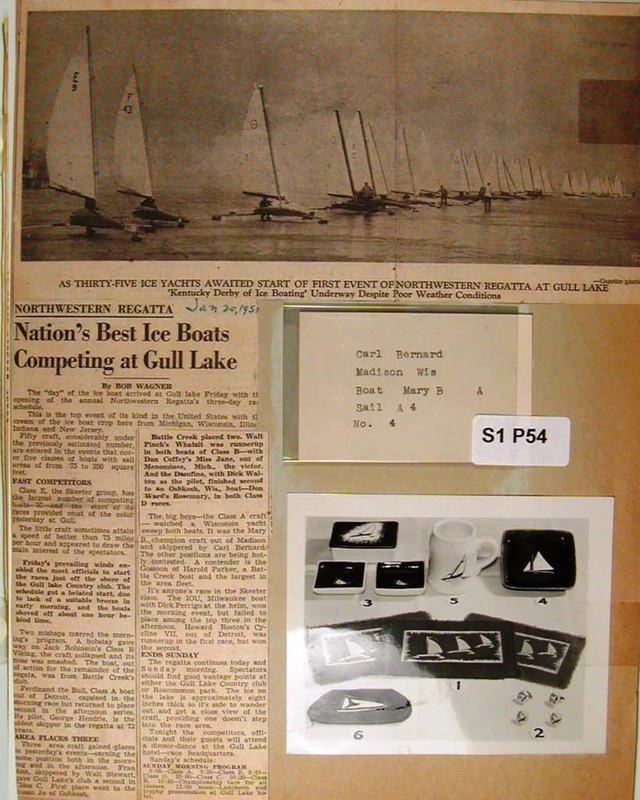 Jane Pegel recently sent a magazine page from 1951 Click here to see article.about the Northwest which motivated me to chose that historic regatta as the focus of TBT. Next week, we’ll start at the beginning. 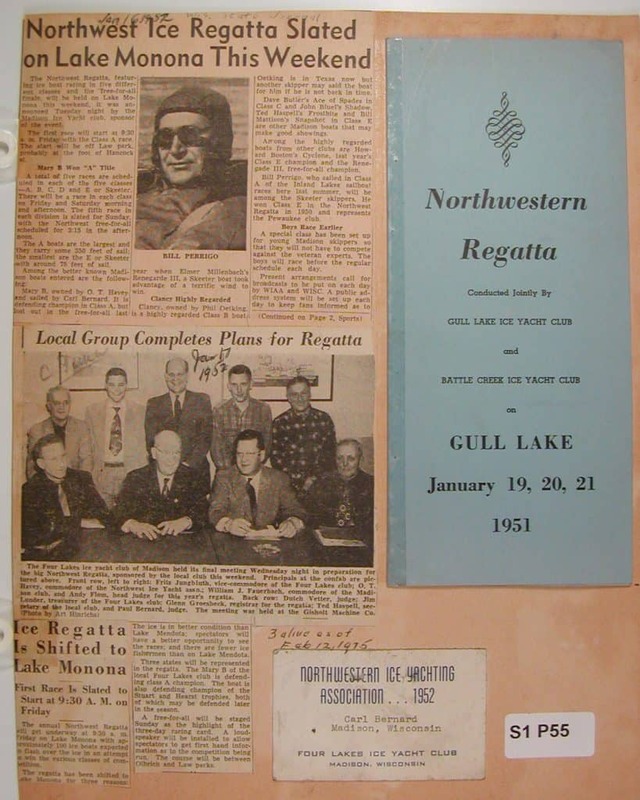 The 1951 Northwest was sailed on Gull Lake in Michigan. The Mary B won the A stern steerer division. That was the third year in a row she won the Northwest and she would go on to win in 1952 and 1953. 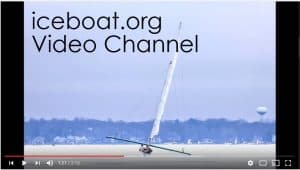 Class A:Mary B, O.T.Havey, Owner; Carl Bernard, Skipper. Free For All: Renegade, Skeeter E Class, Elmer Millenbach Detroit, Mi.